Can I still access a course, even after I complete it? Access and review your completed courses as you like. 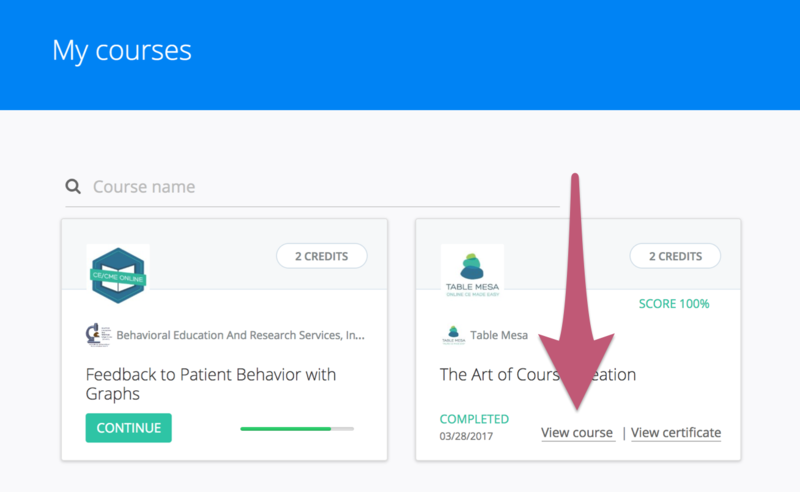 Once you take a course, you will have access to that content until the course is deactivated, deleted, or the current renewal cycle ends. The only thing you cannot do is retake your tests. When you finish your course and finish all your tests, a certificate is generated that says when you met completed the course. You are only allowed one certificate for a course, which is why retaking the tests once you pass them is not possible. Your certificates are saved on Table Mesa electronically, so that will never be lost. To learn how to access your certificates, click the button below. Click on the drop down menu "All courses" and select "Completed." 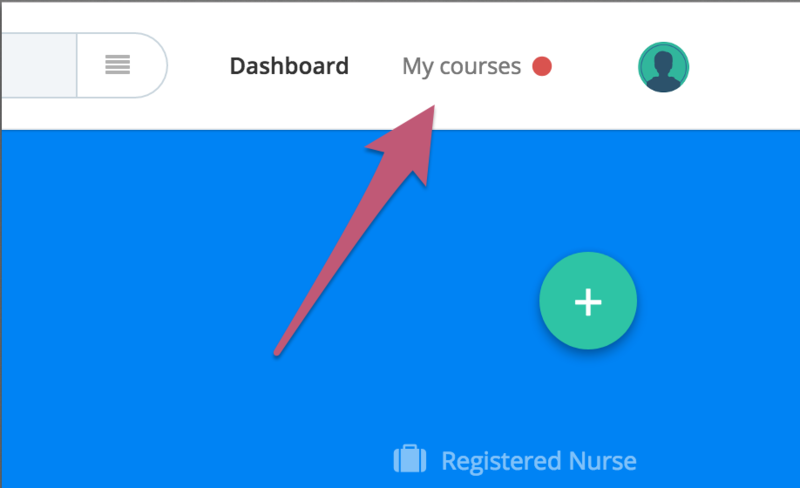 Find your course and click on "View Course."